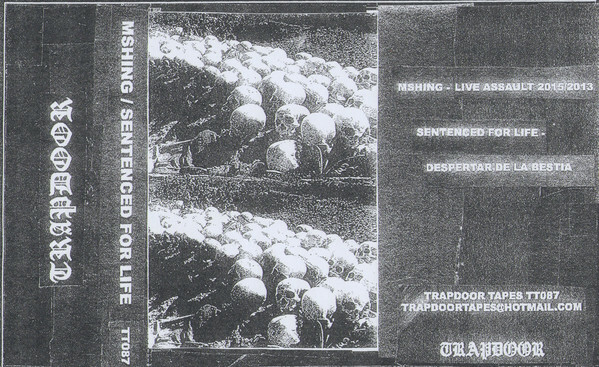 The first tape for review sees two obscure Australian projects Mshing and Sentenced to Life team up to each take a side of the tape each. Mshing is the solo project of Luke Holland (also of Armour Group) and delivers a live recording or as it is referenced on the cover ‘Live Assault 2015/2013’. Commencing with a cyclic death industrial throb it hits an early groove, but then moves into more obscure grinding noise industrial territory with semi-buried samples and gruff vocalizations. While the track is decent enough, with the distant muffled sound of the recording it only serves to hint at the actual live performance/s being of far greater volume and sonic impact. Sentenced for Life take up the flip side, with the single track ‘Despertar De La Bestia’ and presents an atmospheric ‘post-mortem’ soundscape of muffled layered analogue filth. Featuring a broadly cyclic approach, there is an interweaving interplay between the layered elements which generates an excellent complexity of rumbling industrial distortion, revving drones, distant sirens, cavernous clatter and indistinguishable voices. This is both a strong track and the highlight of this tape given its murky and immersive qualities. 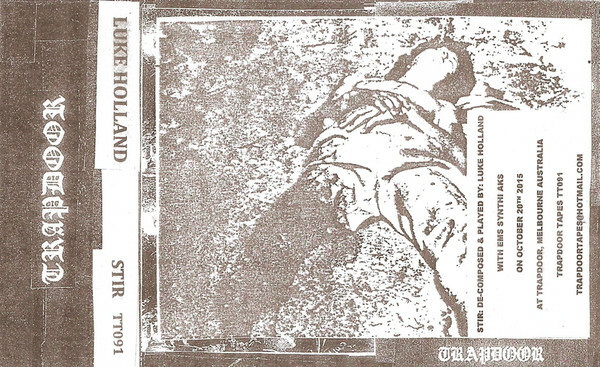 On the ‘Stir’ MC, Luke Holland goes it alone (again) but here functioning under his own name. Compared to the last solo tape ‘Decomposition’, this time around he has taken a rougher, a more caustic industrial-noise approach. With the single 16 minute track (repeating on both side), the squalling mid to high pitched chaotic noise is coupled with a deluge of dialogue samples. Featuring a sense of improvised urgency the samples are then taken from Australian 1980s film ‘Stir’, referencing prison life, outsider attitude and cut throat violence. Some ritualistic clanging elements change up the sound mid piece to offset the more intense and sustained background distortion, while the piece bleeds out into looser, scattered abstract across the last section before abruptly cutting out. Noting the driving urgency this tape of greater impact that than the ‘Decomposition’ recording. 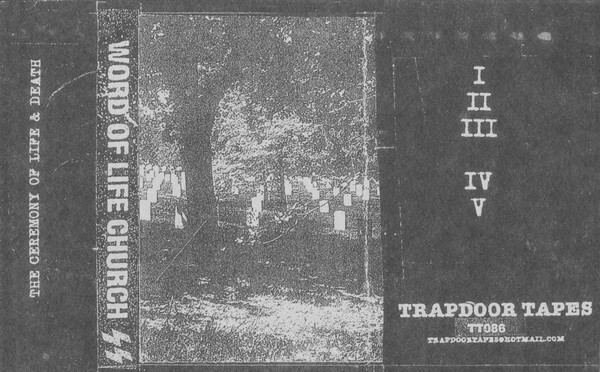 Lastly, the World of Life Church SS tape features 5 untitled tracks in all, the first track being driven by a direct militant industrial ‘beat’, around which scattered noise and distortion interweave, all capped off with barked/ spat distorted vocals. Rough and direct it is an excellent opening, while later tracks are broadly looser and more chaotic in their rough analog approach: essentially charting a course in a broad spheres relating to scattered noise-industrial to overblown power electronics squall. With a sound which is a perfect fit for the obscure sounds Trapdoor Tapes is known, this delivers strong results, although admittedly it sounds more like a solo or duo project, than otherwise might be expected from a project featuring 4 members. This entry was posted in 2015, 2016, death industrial, industrial, post-mortem, Trapdoor Tapes by noisereceptor. Bookmark the permalink.